Unless you have been residing on another planet, or worse, in North Korea, you have heard the uproar and hullabaloo created by Donald Trump’s remarks about Mexican immigrants. 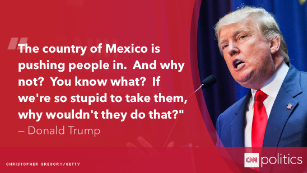 Actually, he was talking about illegal Mexican immigrants and the thousands of other illegal or “undocumented” people who are streaming into America via porous borders in violation of our laws–not legal immigrants. But that fact has been lost in the crescendo of PC outrage over his comments. Granted, Trump could have tempered the remarks he made during his June presidential announcement, or used less offensive language. Nevertheless, his comments–as controversial as they were, still reflect the opinions of the majority of Americans. Since making that statement the billionaire real estate tycoon has incurred the wrath of Mexico, the American Political Correctness police, some journalists and most of his fellow Republican presidential candidates–not to mention the leading Democrat candidate, Hillary Clinton. Then there are the pecuniary penalties. His Miss Universe pageant was dropped by Univision, NBC cancelled his top-rated “Celebrity Apprentice” show, his clothing line was dropped by Macy’s, and he lost endorsement deals with the Professional Golfers’ Association, NASCAR, and even Serta mattresses. The fact is a lot of what Trump said was accurate. Anybody who thinks the hundreds of thousands of people streaming illegally in to America are nuclear physicists, brain surgeons or computer scientists need to spend time along the border that runs from Texas to California. Statistics show that most of these people have little or no education, few skills, and are often the poorest of the poor. 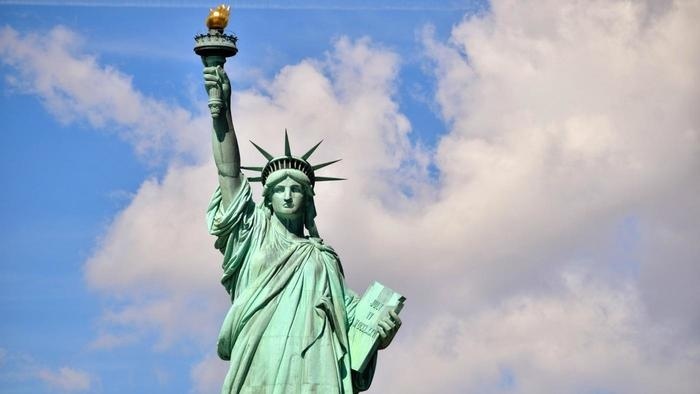 OK, what does it say on the Statue of Liberty in New York Harbor? It is a laudable and moving collection of words taken from a sonnet called “The New Colossus” written by Emma Lazarus. But the people who it referred to mostly arrived via Ellis Island on the East Coast and Angel Island on the West Coast. They were processed into the country LEGALLY. Some were even turned away. Trump was NOT referring to legal immigrants. He was talking about those who are breaking U.S. law by crossing our borders unlawfully. Of course in the Obama administration the rule has been NOT to discourage illegal immigration. Why? Perhaps it is because they become voters and almost all of them vote for candidates from the Democrat Party. In any case, there is no doubt that Trump is feeling the chilling effects Political Correctness is having on free speech. 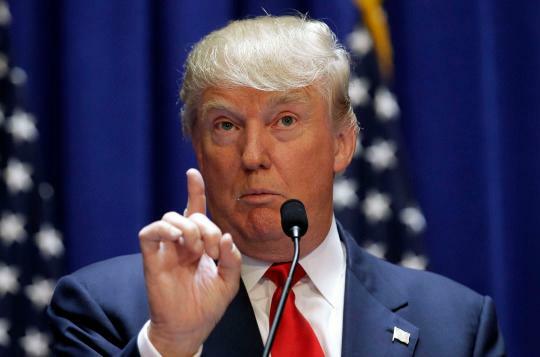 Trump, or anybody else for that matter, has the right to speak out against illegal immigration, and the obvious menace places like China, Russia, North Korea and, yes, even Mexico hold for us. He has a right to refer to corrupt regimes in Iraq and Afghanistan and he has right to criticize our feckless President as he is thrashed and bamboozled in the Iranian nuclear negotiations. 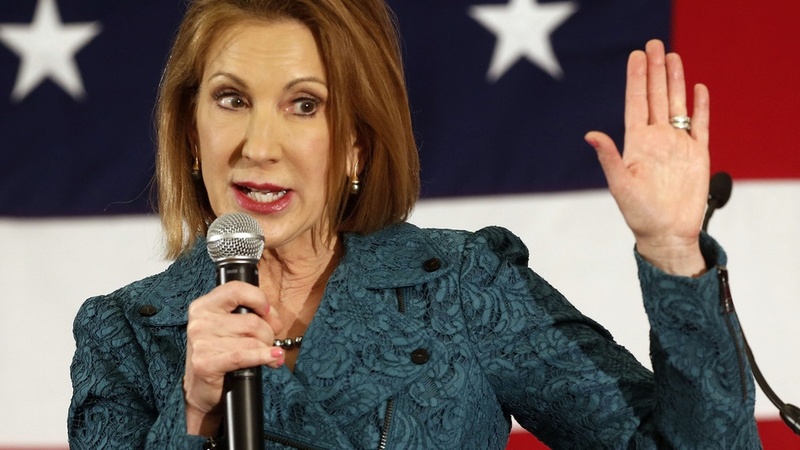 Fiorina is right. What Trump brought up are real issues. They are the kinds of issues few professional politicians care to discuss openly and honestly. Trump does both. He is not a classic presidential candidate. He is a businessman. He thinks like a businessman. He is always looking to make the best deal he can and I think he is translating that into the political domain. In other words, he would not allow himself to be beaten up in trade negotiations with China, Japan, Mexico or any other country the way the current administration has been. Trump’s mantra is to return the United States to its accustomed position of strength and prestige in the world; not to apologize for and demean America’s achievements in a specious expectation that doing so will somehow make people like us and respect us. Under Obama, just the opposite has happened. As Trump often says, countries like China, Russia, Mexico, Iran, and Cuba are laughing at us and our inept president. Saturday, Trump takes his message to Phoenix, Arizona. That has already created a firestorm among those who don’t share his views. City leaders have asked Trump “to stage his hate-filled circus” elsewhere, but ticket requests have been so high the campaign has moved the speech from the Biltmore hotel to the convention center downtown.